123Wonen is the real estate agent in the Netherlands with 28 branches around the country. Owners and investors contact 123Wonen to rent out their properties to screened candidates. Are you a real este investor, do you want to rent out your property to expats or do you want to rent out your house that is for sale? You are at the right place at 123Wonen! All our branches of 123Wonen have a useful database of screen candidate tenants and a large network. This means we can guarantee to rent out your property as quickly and as suitably as possible. Every candidate tenant is subjected to an extensive background check, identity check and multiple credit checks. Thanks to this, you never have to take any risks with 123Wonen. We use intelligent online marketing to find a suitable candidate for your private sector rental property. That is why we advertise on popular Dutch websites as well as internationally. All properties that are for rent on 123Wonen are widely marketed. In addition to our expertise in renting, 123Wonen is specialised in financial administration and technical management. 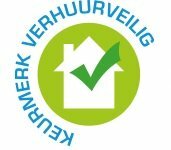 We always guarantee rent and the security deposit through our own Third Party Management Foundation (Stichting Beheer Derdengelden 123Wonen). In short: mediating, managing and monitoring, with the landlord in the middle of it all. Do you want to rent out your house? Fill out the form below!